When the AIDS orphan crisis became the dominant issue for many of Mozambique relief workers, it had an unexpected impact on another “at risk” population – the poor and vulnerable elderly. Many of these senior citizens suddenly found their hardships ignored and their urgent needs unmet. Left to fend for themselves, some found they had no one to care for their medical, spiritual or social needs. Association Cross Mozambique (ACM) stepped up with a plan by distributing food, medicines and a message of hope. 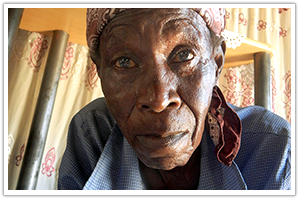 Please – help us address this urgent need by contributing to the ACM Elderly Project. Click here for more info.